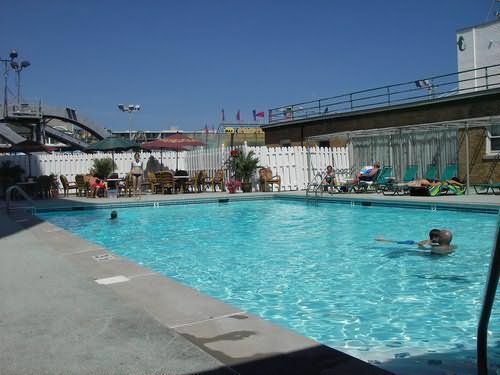 The Flanders Hotel is a luxury all suite facility located oceanfront on the famous Ocean City, New Jersey boardwalk. Visitors are just steps away from a beautiful, clean, and safe beach, wonderful shops and restaurants, exciting amusements and terrific entertainment and concerts. The hotel is also located a short eight mile drive away from the Atlantic City casinos. A full array of suite types is available to suit individual needs. Extra amenities include free guest parking - 1 parking space per unit unless a Penthouse is rented then 2 spaces are permited and beach tags, a restaurant with seasonal room service, an outdoor heated pool - open at management discretion, a fitness center, a computer room with full wireless internet access throughout the lobby, and laundry facilities. In addition, a glorious banquet and catering center capable of hosting multiple simultaneous events with up to 1000 guests is located in the building. Come stay at the Flanders and experience modern accommodations and conveniences in an environment of historic grandeur.